The holidays are the worst time to get sick. There is too much to do in what feels like very little time to get it done. 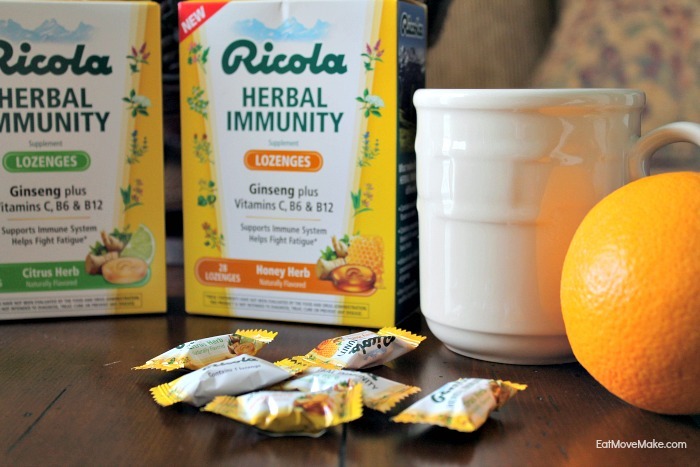 So, if you happen to find yourself feeling under the weather this month, hopefully these tips will help keep you going when you have to keep going! Drink liquids. 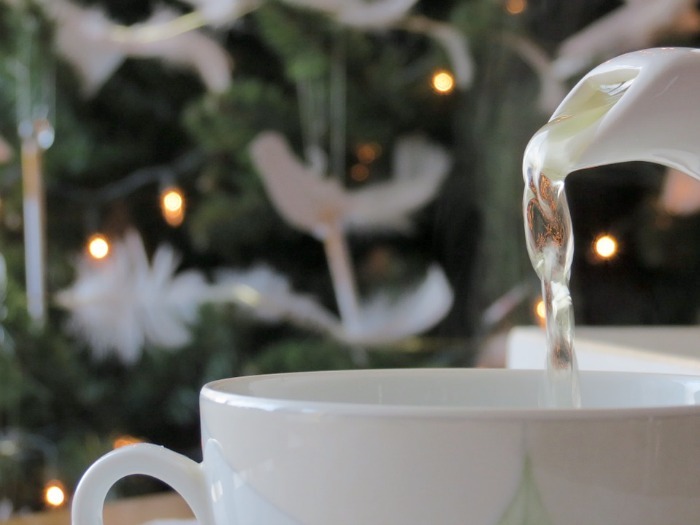 Drinking water, decaf tea and clear broth soups helps loosen congestion and works to keep you hydrated, aiding your immune system in its fight. Keep something to sip on nearby, but avoid coffee, caffeinated sodas, sports drinks and alcohol. Tip: If you have a sore throat, ice chips can hydrate while helping to numb the pain. Take a warm shower or bath. The warmth is soothing and relaxing, and can help you feel better. Avoid using hot water though, as it can dry out your skin and make you feel worse. 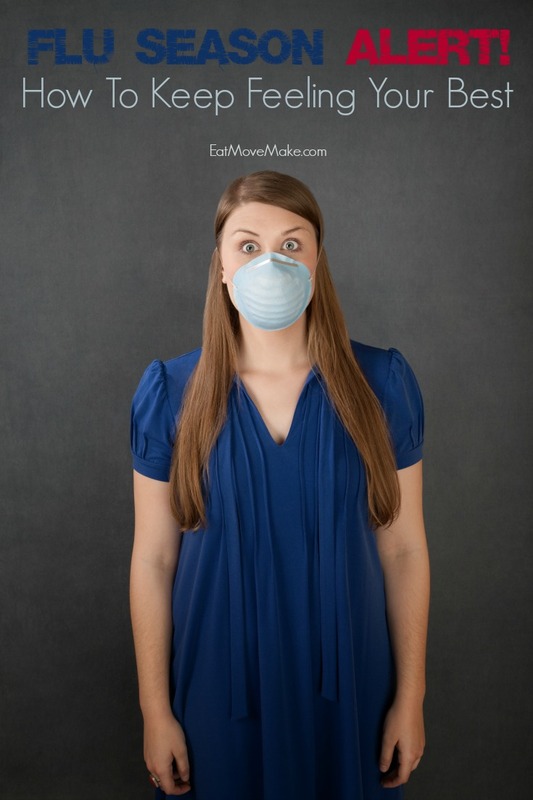 Use a humidifier or vaporizer. 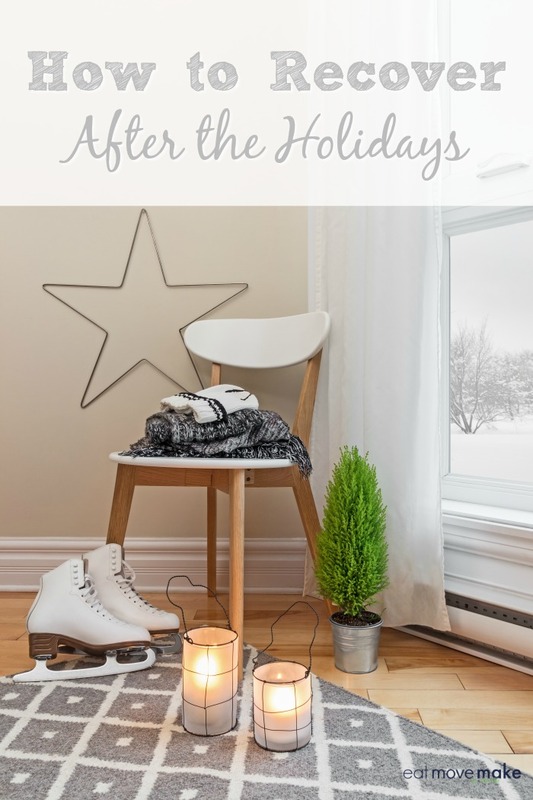 Adding moisture to the air with a clean humidifier or cool-mist vaporizer can help you breathe easier and alleviate stuffiness so you can rest better. Rest and sleep. The best way to help your body fight illness is to let it sleep. If you have to work, go home right afterwards and get in bed. Relieve discomfort. 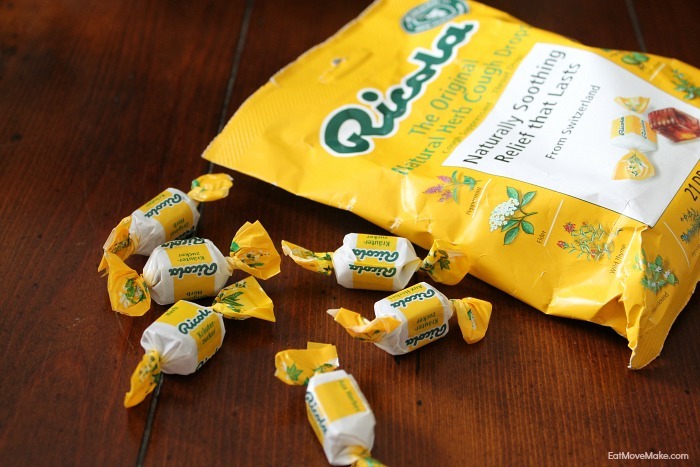 Saline sprays can help clear sinuses and loosen mucus, and cough drops can help soothe an irritated throat while suppressing the urge to cough. 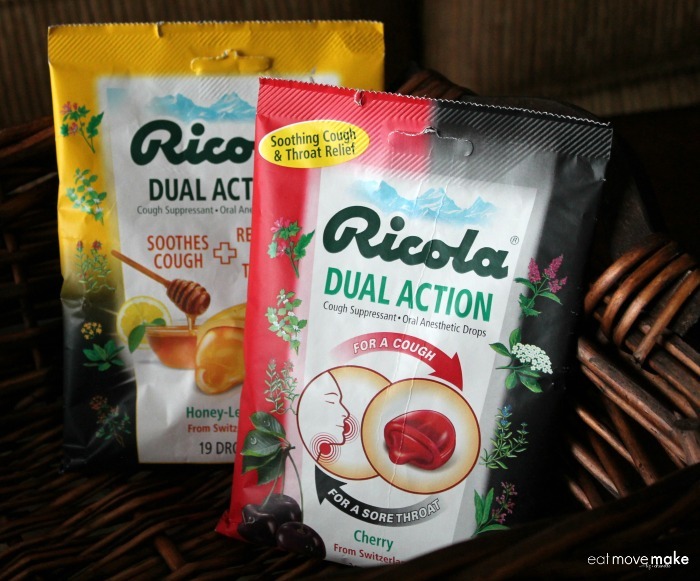 I like multi-symptom cough drops like Ricola Dual Action Cough Drops which provide relief for coughs and sore throats in a single drop. 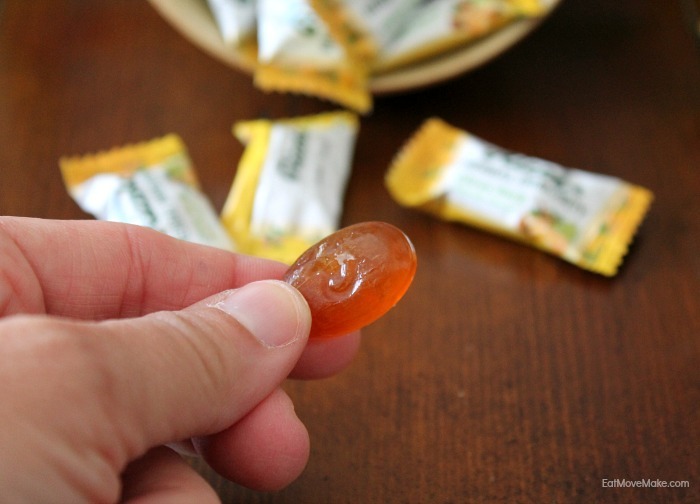 The Dual Action Cough Drops have a unique blend of ten natural Swiss alpine herbs, natural menthol and a soothing syrup center for fast, trustworthy and safe relief. 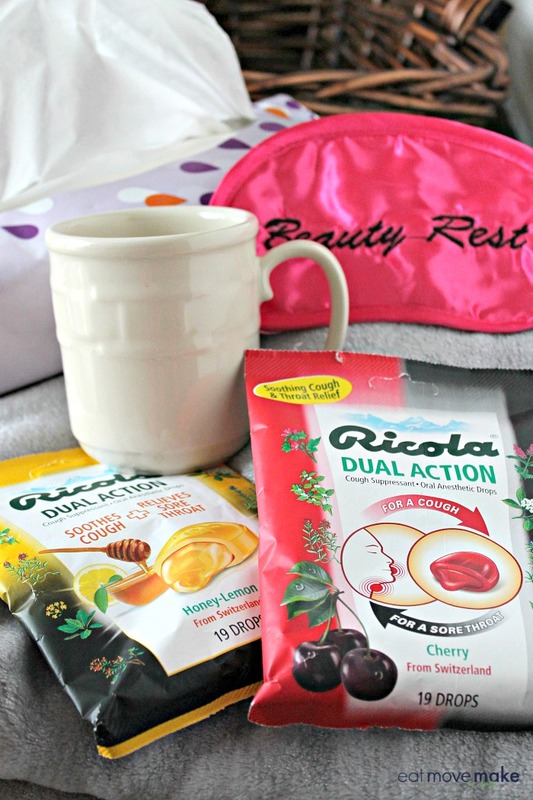 Bonus – both the Swiss Cherry and Honey Lemon flavors are delicious! Not getting better? If your symptoms aren’t improving after about a week or so, call and/or visit your doctor. 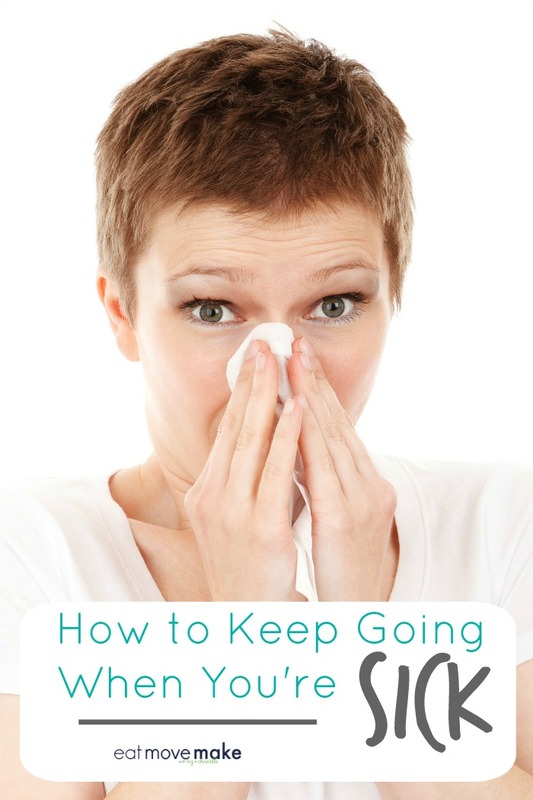 Do you have any other tips about how to keep going when you’re sick? What works best for you? 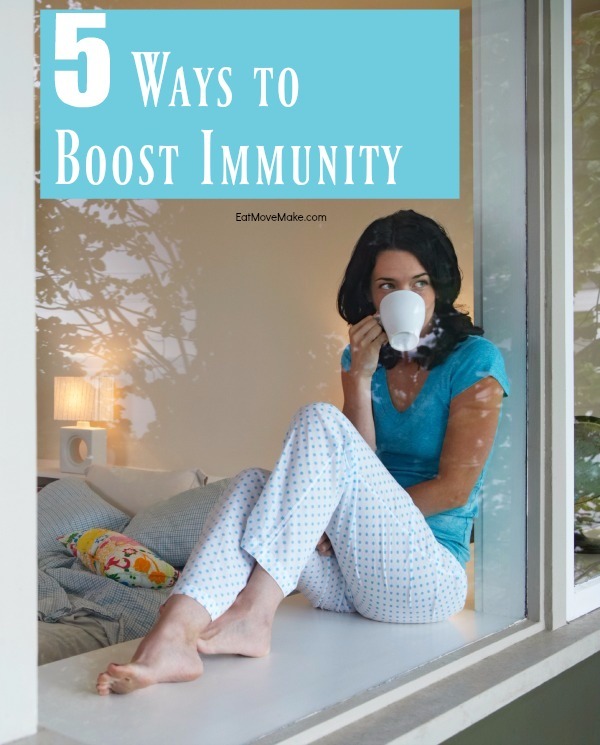 5 Ways To Boost Your Immunity! 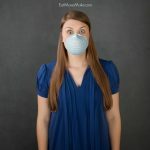 Have you ever walked past someone in public at the exact time they sneezed or coughed? 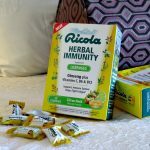 All the cells in your body go on red alert, you hold your breath, run for safety and douse yourself in antibacterial all-the-things? 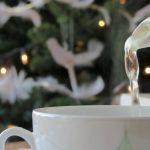 Hopefully, you’re already doing everything you can on a daily basis (especially at this time of year) to boost your immunity in an effort to avoid getting run down or sick. 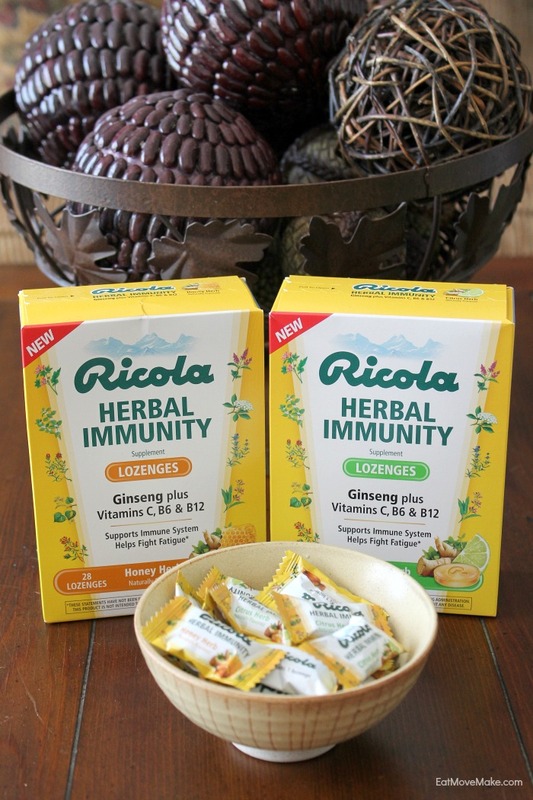 Admittedly, I don’t think about it much during the summer, but when fall arrives, I’m in full-on “boost immunity” mode. 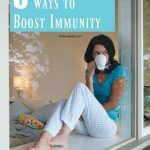 A healthy immune system relies on a healthy lifestyle in its totality, so remember that everything you do to boost your immunity works together to help you stay strong and avoid illness. Technically, that means getting regular exercise, something we should all be doing. 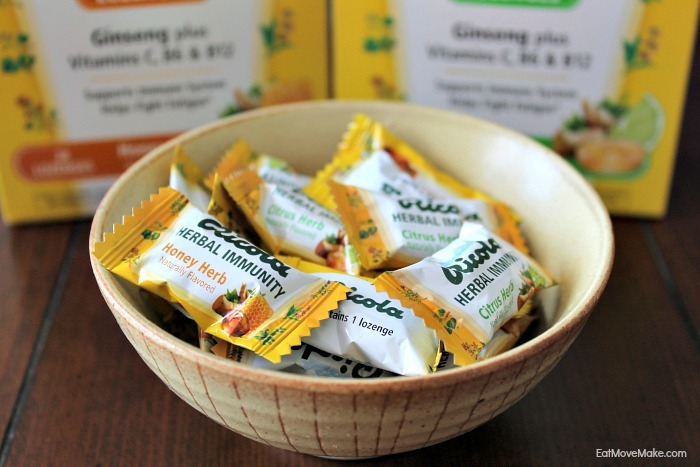 It improves cardiovascular health, lowers blood pressure and contributes to maintaining a healthy body weight. If you’re like me and hate going to the gym, you can still take a walk outside and enjoy the fall color display. 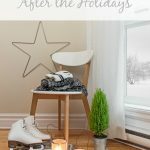 If the weather is frightful, jog or walk in place while you watch TV or read a book. I’ll pick up the pace during commercials too! Just do something active for at least 20 minutes every day. Yeah, yeah, yeah, everyone knows this, but sleep is often the first thing we give up. Why do we do that to ourselves? We really need at least 8 hours of sleep nightly to keep our immune systems in fighting form. I finally gave in to this, and I’ve been getting a regular 8-9 hours of sleep for the last year. Best thing ever. It’s difficult to eliminate stress completely, but there are ways to minimize it. Exercise is a great stress reliever! Allow yourself down-time to decompress, and make sure you’re balancing work with relaxation as much as possible. Music and laughter are also excellent stress busters. 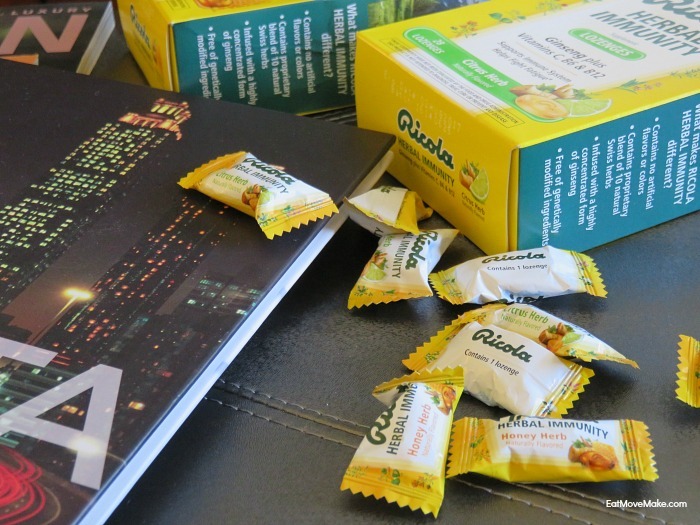 A healthy immune system needs proper nourishment. A diet high in fruits, vegetables, and whole grains, and low in saturated fat should be the overall goal. Incorporate foods that pack a nutritious punch like yogurt, broccoli, garlic, citrus fruits, spinach, green tea and almonds. 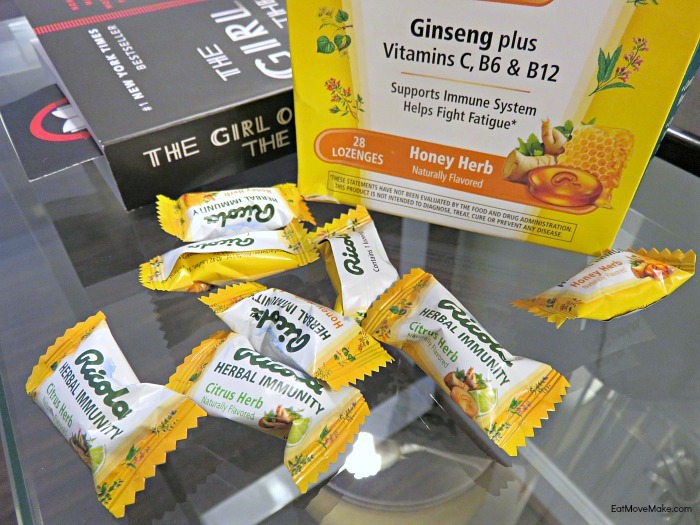 Choose the right vitamins and supplements. The best reason to take vitamins and supplements (in my opinion) is to round out what you might be missing in your daily diet. 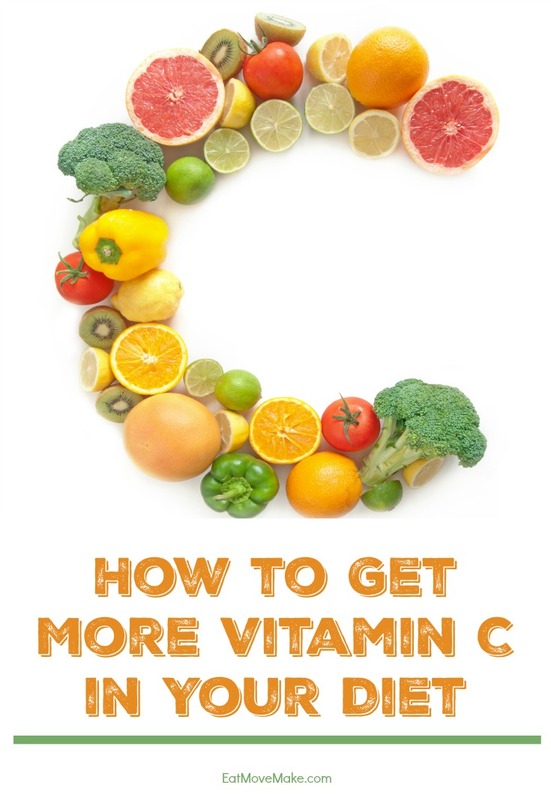 In general, a good multi-vitamin will cover you, but during the fall and winter months, I take extra C or an immunity product. 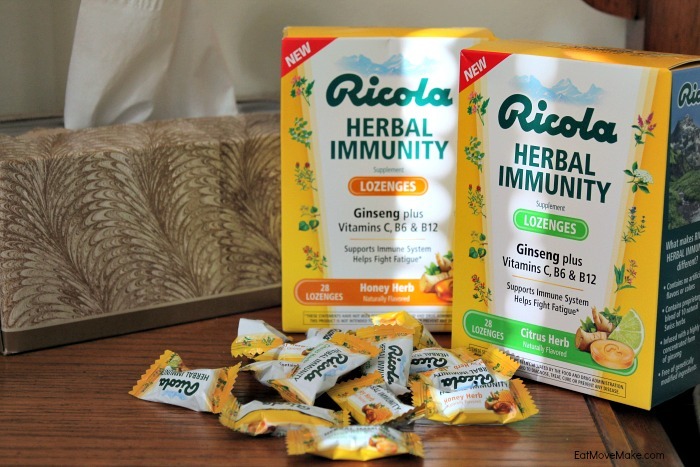 Ricola Herbal Immunity helps you stay well so you can bring your “A Game” all season long! 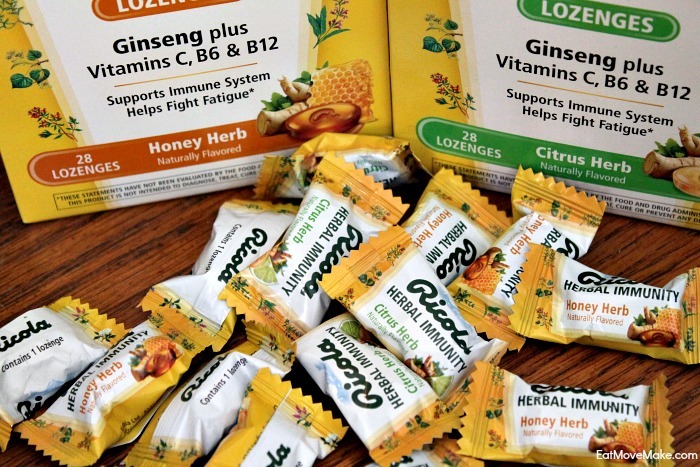 Developed by master herbalists in Switzerland, one of the world’s healthiest and happiest countries, the lozenges are available in two varieties: Honey Herb and Citrus Herb. 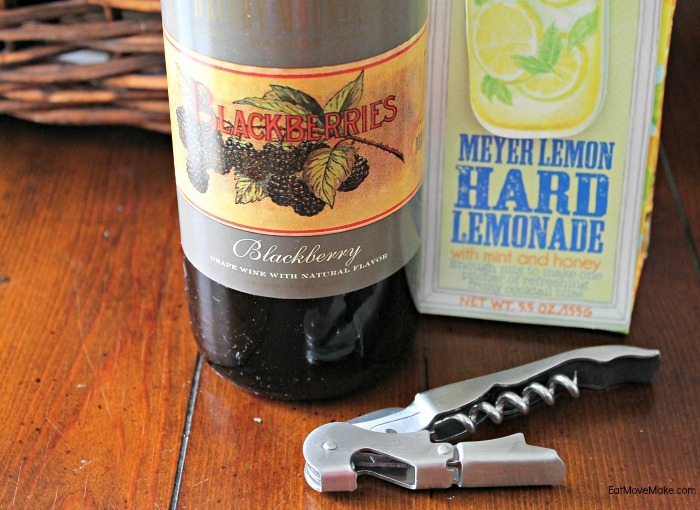 Look for them in CVS, Walgreens and Rite-Aid stores nationwide. 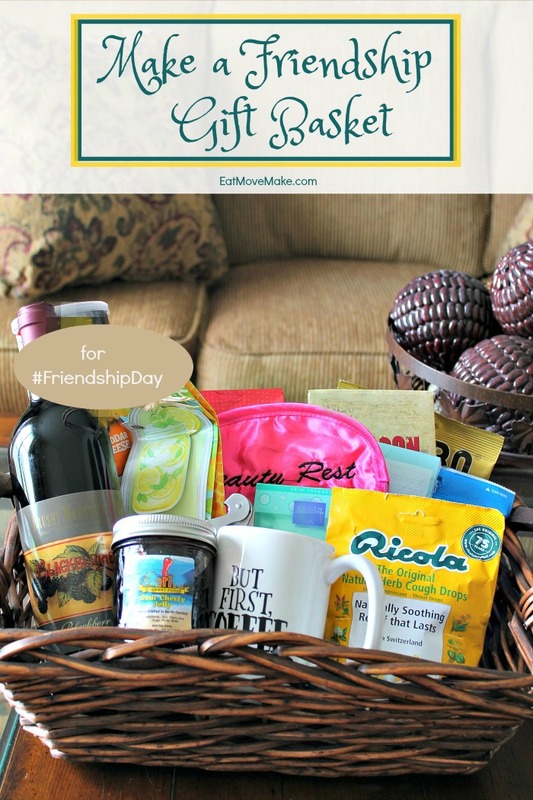 Make a Friendship Gift Basket! 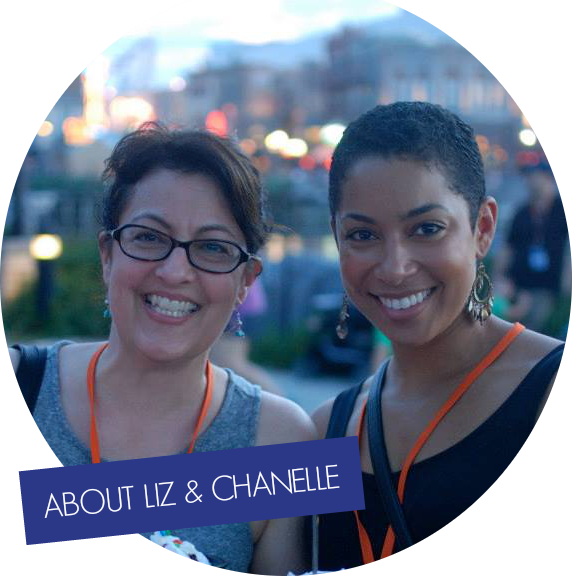 I have a few close friends, all of whom are bloggers, and I definitely have one I consider my bestie. (You know who you are.) But there’s also my daughter — she’s the one I text back and forth with all day long, tell my everythings to and I can use abbreviations and made-up words and she knows exactly what I mean. 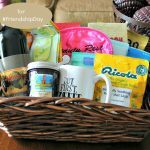 So this friendship gift basket is for you, my wonderfully crazy, beautiful and hilarious first born. I love you! 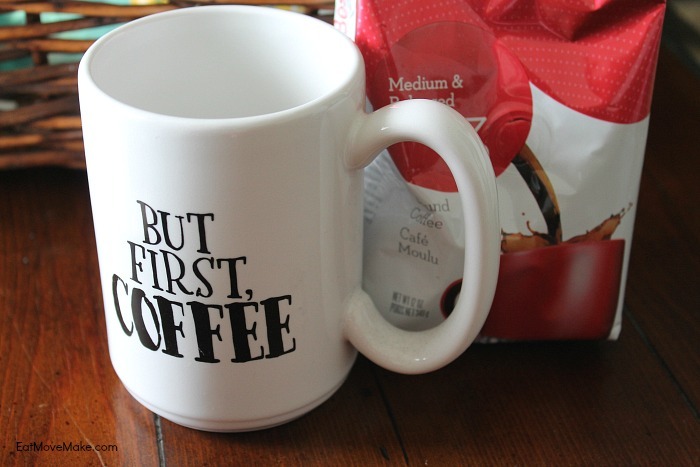 I didn’t just throw things into this daughter/friendship gift basket haphazardly either. 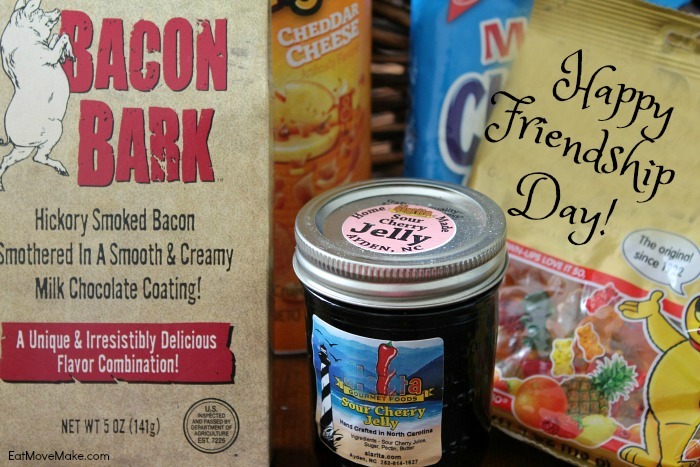 It was carefully thought out to suit her, as all gift baskets for friends should be! But here’s kinda how I decided on the contents. Some people can get a day rolling without caffeine. She’s not one of them. Feed the monster, or it will destroy us all. When my daughter was in college and I’d make plans to visit her, she’d always get excited that we could “eat, talk and chew” together, and the phrase has stuck with us all these years. It’s only fitting that I give her some of her favorite treats (because even a healthy, fit bodybuilder likes occasional treats in her off-season). I have no idea why she’s the one in the family who gets sick all the time, because she takes the best care of herself. She’ll get a cold, get over it and catch yet another one while the rest of us stay healthy, and omg, is she ever a baby when she gets sick. Bring out her old tattered blankie and teddy bear. Since she’s very careful about what she ingests (save a few treats here and there), she’s also careful about what she uses for relief when not feeling well. 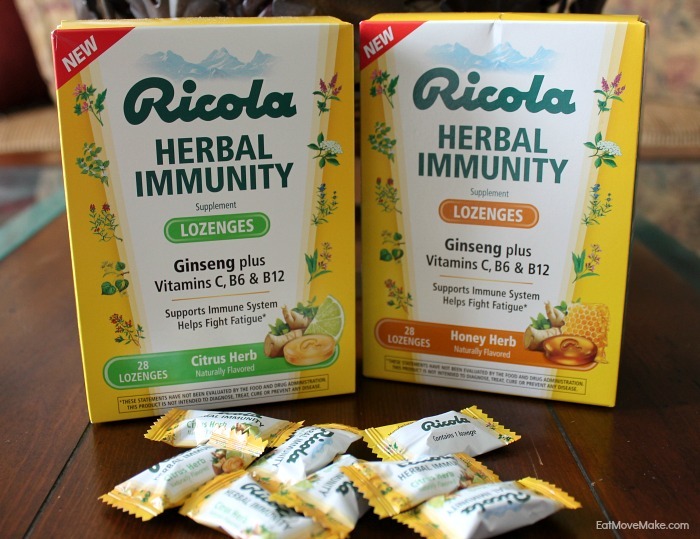 Ricola throat drops are herbal drops that capture nature’s goodness, the power of Chrüterchraf (a secret blend of 10 Swiss herbs) and have a delightful balance of taste and efficacy. There’s something to be said for the fact it’s a family-run company (headquartered in Laufen, Switzerland). 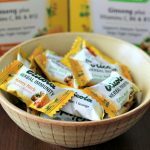 Better yet, they choose to work with over 100 self-managed farms throughout Switzerland to source the finest quality traditionally cultivated herbs, free of pesticides and herbicides. Did you know? 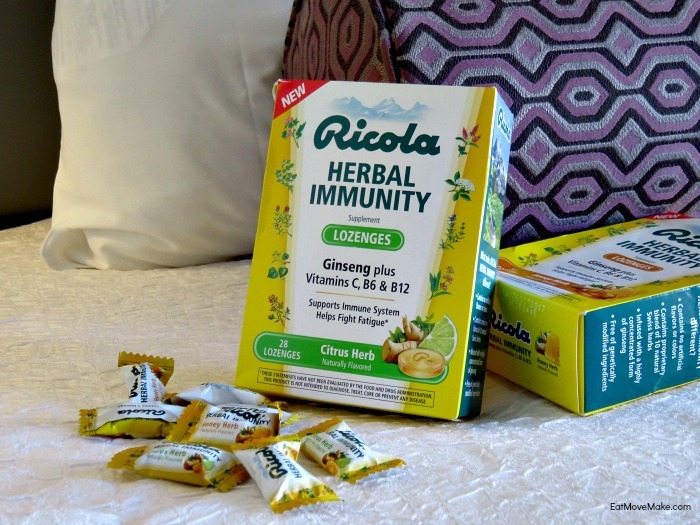 Ricola has more than 40 different ranges of herb drops and teas that can be found in over 50 countries, and thank goodness the U.S. of A is one of them! She loves to pamper herself! 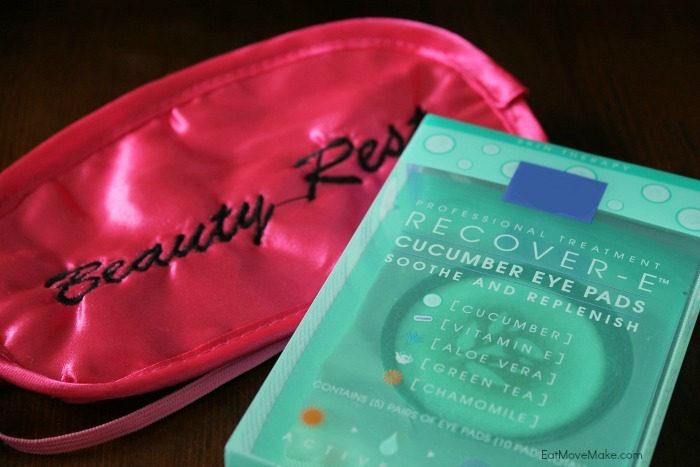 Whether it’s doing a pedicure, trying new skin treatments or enjoying a spa treatment, she’s all in. A couple times a week, she loves to relax with a glass of wine or cocktail at the end of a day. Don’t we all? So there you have it! It’s a friendship gift basket to treat my forever best friend – my lovely daughter. I hope it inspires you to create a gift basket for a friend or family member you care about too. 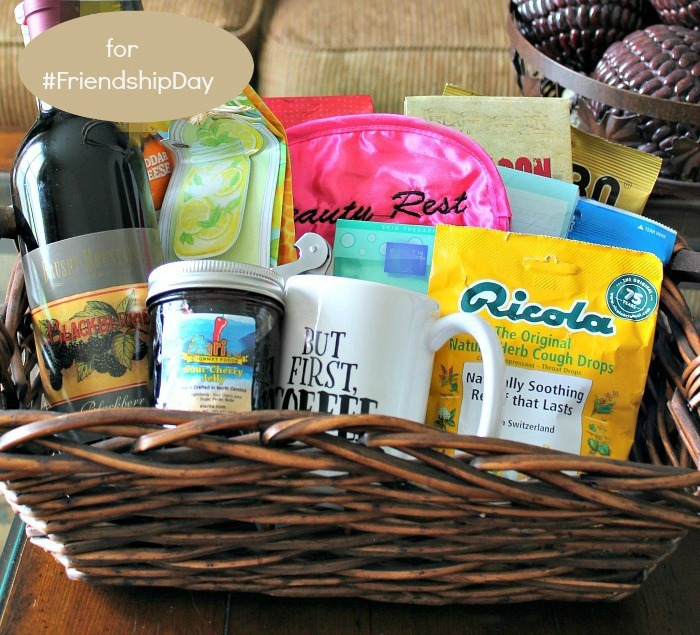 What would you include in a friendship gift basket?